THE CONDITION IS AS I HAVE STATED FRONT AND BACK SCANNED JUST ZOOM IN TO SEE THE CONDITION. It is refered to by British Club Cyclist as "The Comic". 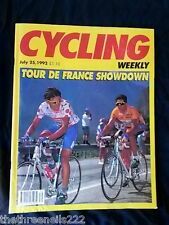 CYCLING WEEKLY. GOOD CONDITION. Dated: 19 July 1959. Language: French. Issue Number: 685. 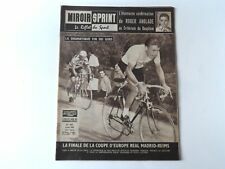 Other features include: Roger Riviere, Gaul, Anquetil, Mastrotto, Dotto. Dated: 8 June 1959. Language: French. Issue Number: 679. Great magazine with a mix of racing, touring, technical features. Dated: July 5th, 1965. Language: French. Issue Number: 1084. 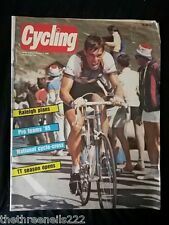 Rouleur magazine 18.7, Excellent condition, see photos above. Free postage. It is refered to by British Club Cyclist as "The Comic". 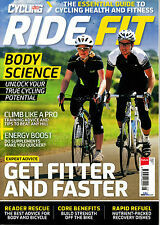 CYCLING WEEKLY. FRONT AND BACK SCANNED JUST ZOOM IN TO SEE THE CONDITION. 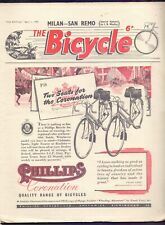 BIKES ETC CYCLING MAGAZINE. READ ONCE IN EXCELLENT & CLEAN CONDITION. Owned from new. In great condition. Magazine is in good clean condition but has a little wear to the covers. If I don't know about it I can't do anything about it. It is refered to by British Club Cyclist as "The Comic". CYCLE TOURING. OCT-NOV 1966. 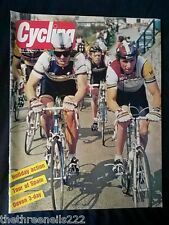 ILLUSTRATED CYCLING MAGAZINE.